I always dream of one day owning a beautiful cottage in the countryside. It will happen and when it does, i have so many ideas on how i would love to decorate. One of my main things i have always dreamed about it having a big farmhouse kitchen. 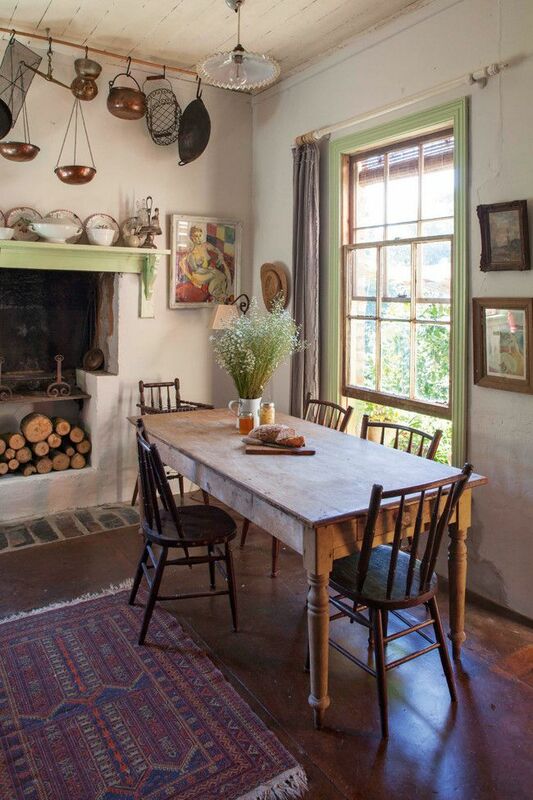 A kitchen with a lovely table with the family to gather around and lots of space for me to bake and make jams. I am such a home body and love being in the kitchen, baking cupcakes and breads. I would also love a window by the sink that looks out into the garden. I have had more than one dream of watching the girls play in the garden whilst i am in the kitchen, making scones! I wanted to share my dream kitchen with you all! - We have a breakfast bar currently but i would love a table and chairs in my dream kitchen. An old wooden farmhouse table that i could add old jugs with flowers on and beautiful cushions on the chairs to add comfort and also decoration. I love this cushion from sofa sofa. - I would use a Farrow and Ball paint on the wall (which can be purchased from somewhere such as Kent Blaxill). I would love a off white or cream colour to give a neutrals base to then add pops of colour with furniture and accessories. - I currently have an old dresser that my husband restored for me in the kitchen. It houses my teacups and teapots and i would love to keep that in my dream kitchen. I remember being a teenager and looking through a Laura Ashley catalogue and falling in love with one of the dressers in there and being determined to have one myself! My husband used to work in the local theatre and there was an old oak wood dresser that wasn't being used anymore. He bought it home, stripped it and painted it white for me and i couldn't love it anymore! - I would love an AGA. Who wouldn't?? 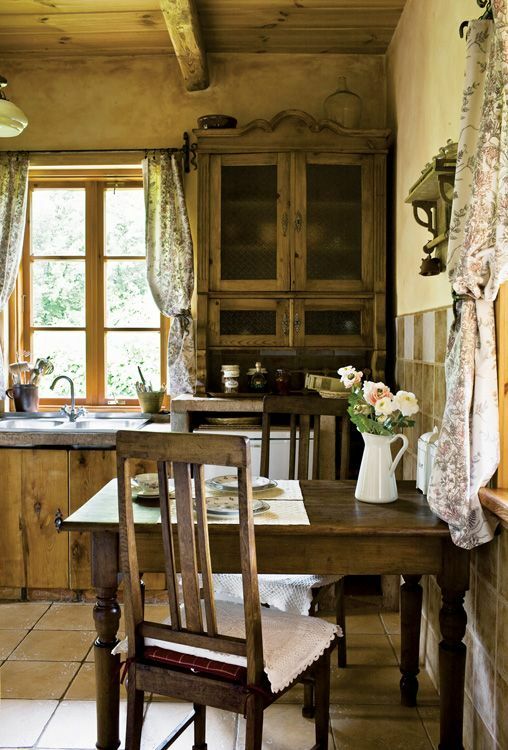 When i think of a country kitchen, i think of this big cos AGA in the middle of the room. It really would be a dream. 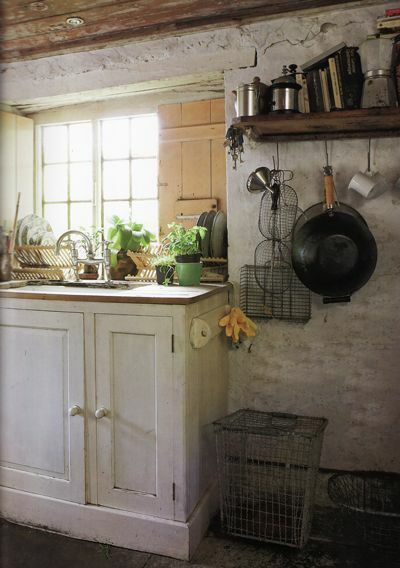 - My dream kitchen would have lots of flowers from the garden and meadows. I love picking flowers and would love to fill the kitchen with them, as well as herbs on the windowsill. - My dream kitchen wouldn't be complete without bunting somewhere and a few botanical prints on the walls. If you are a long reader of my blog, you will understand my love of botanical prints so having one (or three) somewhere in the room would make me one happy lady! I am forever pinning my favourite home and interior ideas. Pinterest has become a little bit of an obsession for me but it is wonderful having all of your ideas in one place and i know that i have a whole place of inspiration. 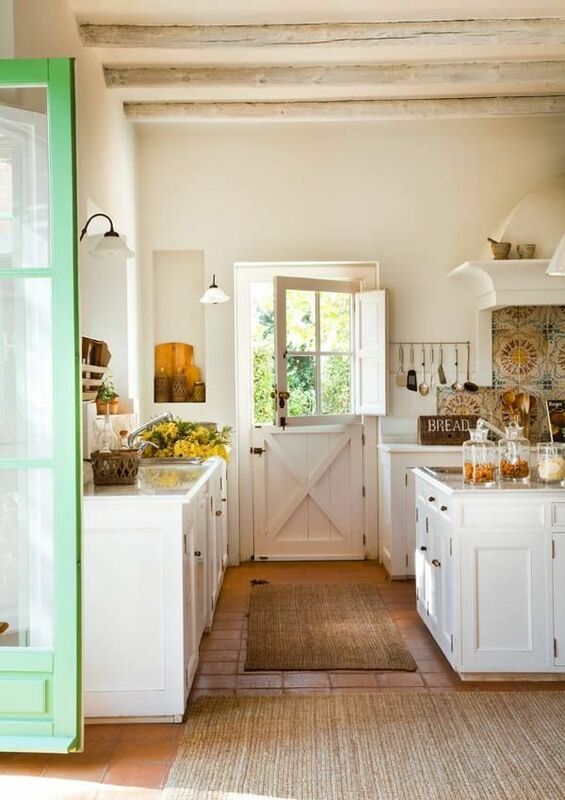 The kitchen is one room in the house that i would want to be done first and just perfect. To me, it is the main family room and i would make an investment just making sure that room was how i wanted and perfect for us as a family. TSB have an amazing TSB loan calculator that would make the planning and investing a lot easier. It is something i will definitely be using to make sure we are fully prepared when the time comes!